Mira and Kate met in Detroit in graduate school as artists. Together they like to plan projects that give back to their community and involve nontraditional art works. So Mira and Kate took on an abandoned park in the city of Detroit. 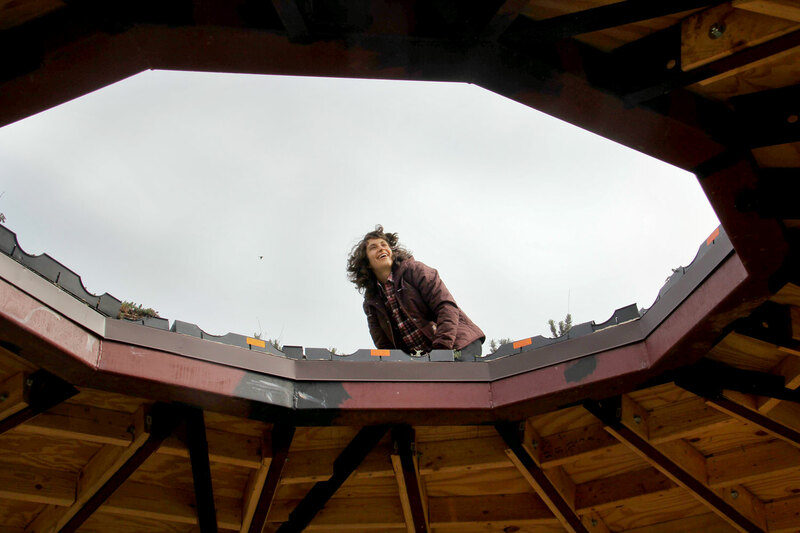 Refusing to let good parkland go to waste, they created Edible Hut. It’s one part art and one part sculpture with a small garden and a little architecture thrown in. 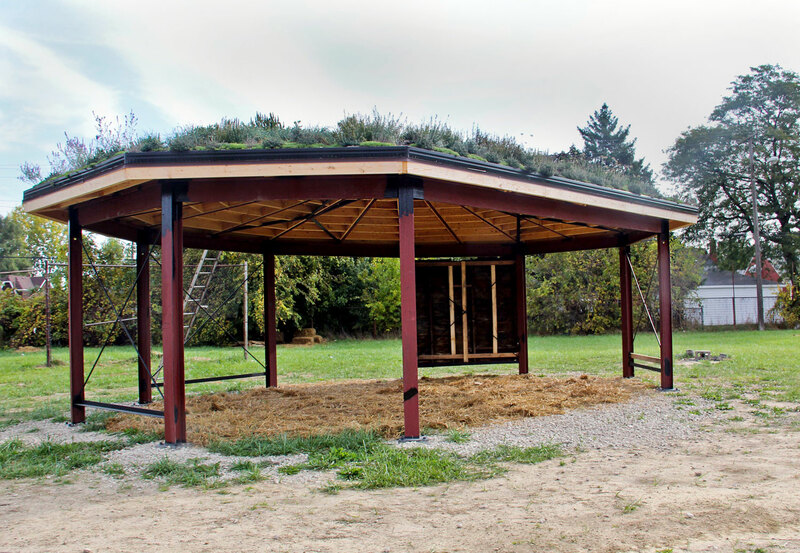 Together with the surrounding neighborhood, they have been building the hut out of steel and wood, lifting bags of compost up to the roof, and planting edible herbs for all to enjoy. When completed, the community will be free to enjoy a shady and protected respite for gathering, rest, sharing meals, holding classes, watching children play in the park, and maybe even one day selling vegetables. 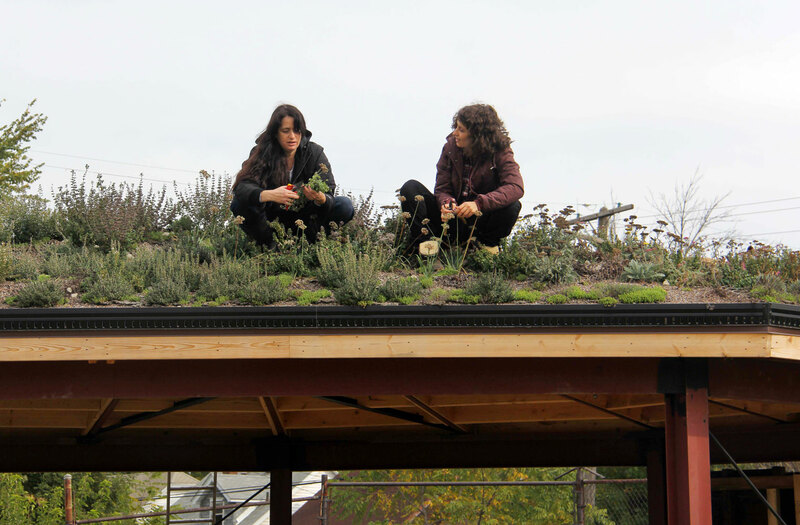 One step at a time, Kate and Mira are doing their part to bring a struggling neighborhood in the city back together.